666 pages | 21 B/W Illus. With stagnated demand in many home economies, the need to internationalize and exploit foreign market opportunities has never been more paramount for businesses to succeed at a global level. However, this process raises a number of questions, such as: can firms use their knowledge of one market in the next? Can firms pursue internationalization on several fronts at the same time? How should firms handle cultural and institutional differences between markets? 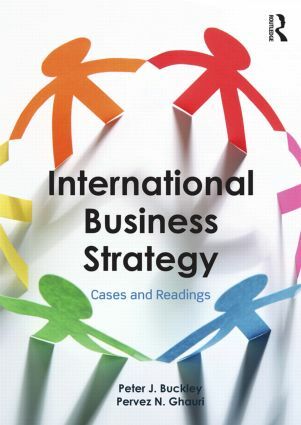 This textbook provides students with the core research in international business and strategy, including organization, efficiency, external relationships and the challenges found in an increasingly multicultural world. Each part begins with a presentation of the issues and controversies faced in that particular area, followed by a synthesis of the research which provides avenues for future research. To facilitate and encourage further debate and learning, each part also includes at least one original case study. Compiled by two of the World's leading scholars of international business, and supplemented with critical commentaries and a range of integrative case studies, this comprehensive textbook provides advanced students of international business and strategy with a resource that will be invaluable in their studies and beyond.